The Best Collaborative Work category was first implemented three years ago, and we’re excited to share with you the shortlist this year which is dizzyingly varied and exciting. Don’t forget to vote onthe shortlist by the 24th May! I’m thrilled for “And No Animal Is Without Enemy” to be nominated in the Saboteur Awards, especially in this category. The event was a way to bring together some of the artists I am most excited by and who have been formative for how my practice has been developing since I’ve lived in London, so for us all to be recognised together is a real pleasure for me. “And No Animal Is Without Enemy” was a performance event I curated and performed in alongside Linda Stupart, Penny Goring, Rachel Benson and Eoghan Ryan at Cubitt Gallery. The event was devised as an attempt to address ongoing concerns in my writing work to do with disembodiment and the unreliable self as narrator. I invited the artists to join me but without any prescriptive direction- I trusted that their practices would make sense together and touch on my areas of interest. I was so grateful and awed by their performances and proud to have brought them together. We are extremely excited to have made this illustrious shortlist. We’d like to thank everybody who nominated us! Helen Ivory has four collections of poetry with Bloodaxe books, teaches at UEA/ WCN and edits the webzine Ink Sweat & Tears. More at http://www.helenivory.co.uk/ Tom de Freston is an artist and currently creative fellow at Birmingham University and Artist in Residence at Medicine Unboxed. More at www.tomdefreston.co.uk. 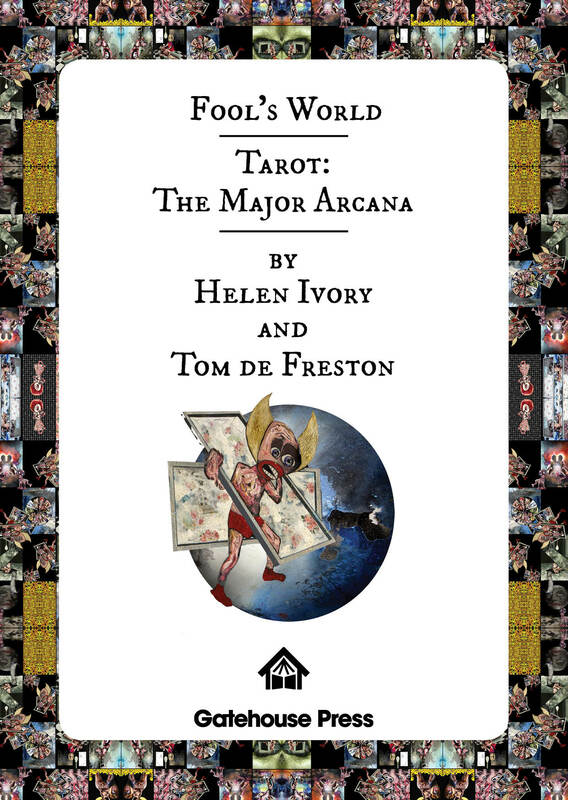 On Fool’s World: We want the pack to work simultaneously as functioning Tarot, and a collection of artistic interpretations. 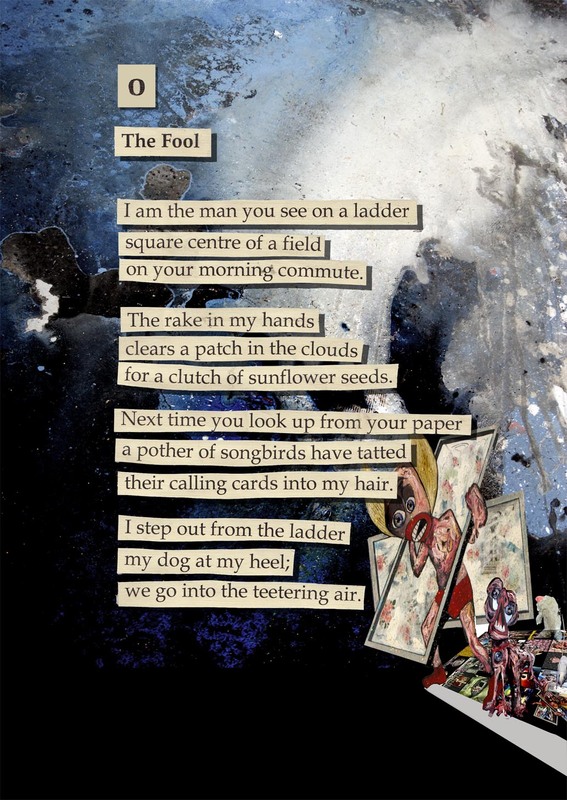 If the ekphrastic experiment has worked, then hopefully the cards are less about an experiment in form and more an opportunity for readers to see the slippery self reflected. This is an absolutely beautiful piece of work by both poet and artist. Presented as a set of cards the images are of the highest inventive quality and the poems haunting, quietly spoken, perfectly balanced. The work is splendid – Tom’s artwork is stunning and Helen’s poetry is mystical and other-worldly a great combination for this work. At Imove we want our arts projects to surprise, subvert, tell untold stories, expose unseen places, both real and metaphorical. Haunt connected with people who had experienced homelessness and wanted to do that too. Being shortlisted for the Saboteur Awards is a massive boost to us and importantly to the participants who contributed. 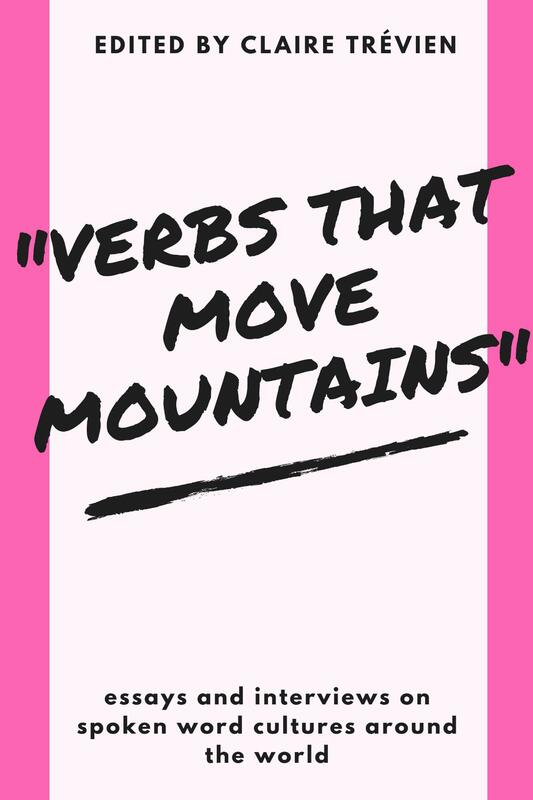 Their words spoke to the stream that runs through all Imove’s work – embodiment. The Haunt anthology bears creative witness to the reality of homelessness as physically and precariously lived. 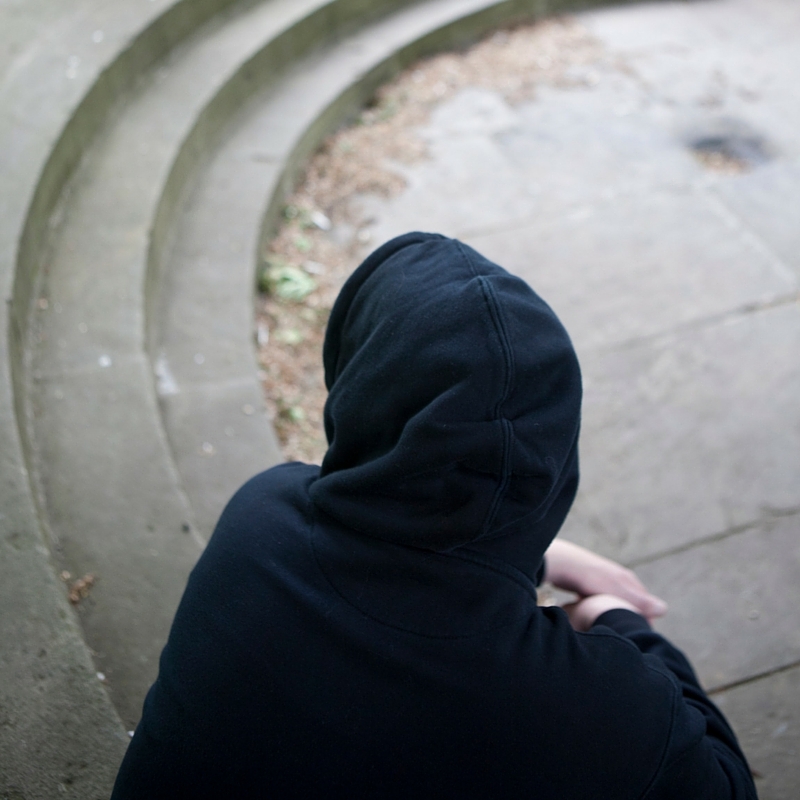 Originally commissioned by the Stroud Fringe for their 2015 festival, Little Metropolis, by Adam Horovitz and Josef Reeve, is a poetry-fuelled multimedia celebration of growing up in small town Britain; “…an exploration of townscape as personal psychogeography”, as David Clarke says in his Sabotage review. 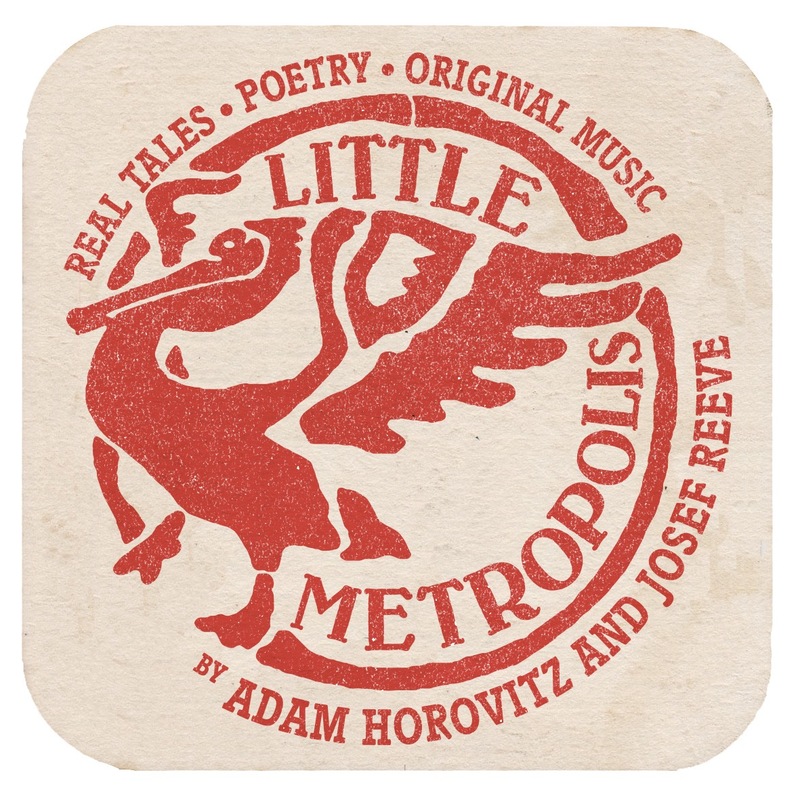 Starting out as a live show, Little Metropolis evolved into a CD featuring Horovitz’s poetry and Reeve’s genre-hopping music, into which is woven a collage of voices from Stroud. “Poetry and social history you can dance to,” as Horovitz puts it. 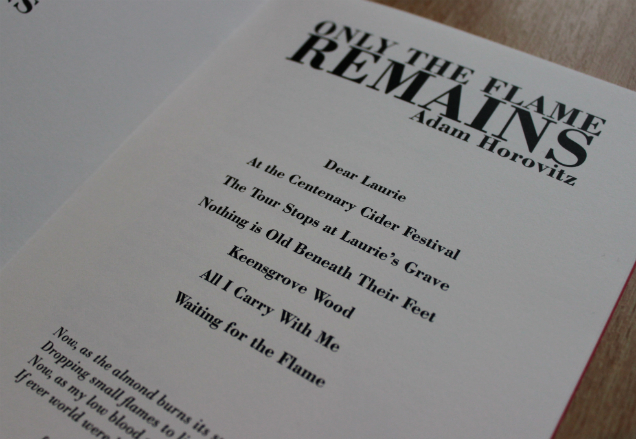 There’s also an accompanying book, featuring art and photographs by Adam Hinks and James Kriszyk. Two people had worked together, but it was like they were finishing each other’s sentneces. Both brought uniqueness to the mix. A delightful hymn to this most unusual of Cotswold towns. Gritty, sweet and melancholic. Engaging with Adam’s amazing poems with Joe’s musical talent to accompanying them – and they are both top blokes! 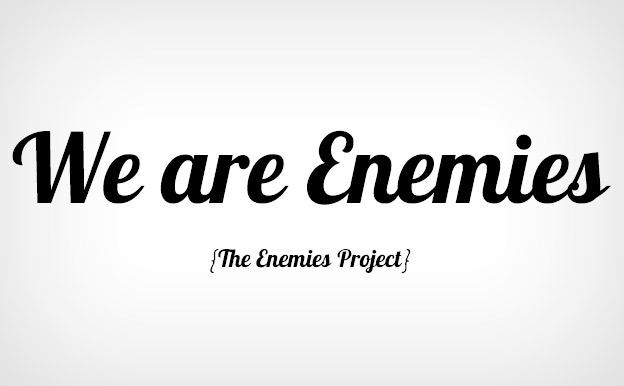 The Enemies Project by SJ Fowler et al. A pleasure to be nominated for the award, hopefully The Enemies Project and the other nominees, and the popularity of the category itself, shows that collaborative methods are as intrinsic to poetry as they are to other mediums. 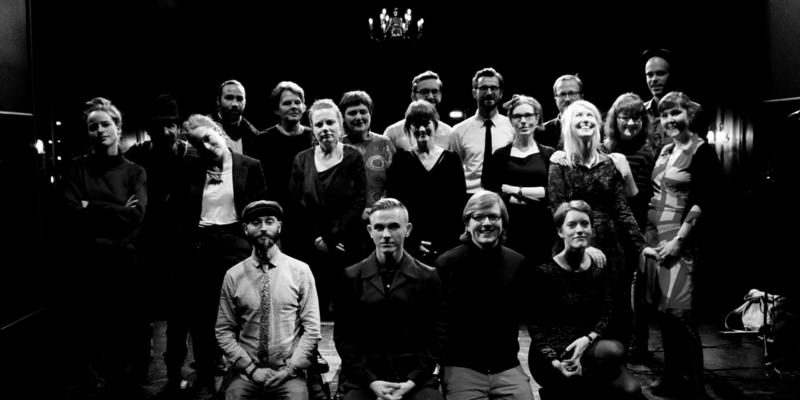 This indefatigable project has brought about collaborations that extend the narrow scope of the UK poetry world. Every incarnation of this project has been a delight. There is something special in collaboration when poetry can be so solitary and personal – a great strength of the Enemies Project is the possibility of discovery at every event. You’re drawn in by the big names and come away with the work of somebody young and new. Incredible reach, interenationalism, work with PEN, SJ Fowler is the very definition of a collaborative soul.